Soft is a storage coffee table with rectangular glass top, concealing an useful compartment. Ideal inside the living room next to the sofa, it is an useful space for remote control and flower vases. Inside the internal compartment you can store all the objects you need to be ready at hand: newspapers, magazines, books or other small objects. 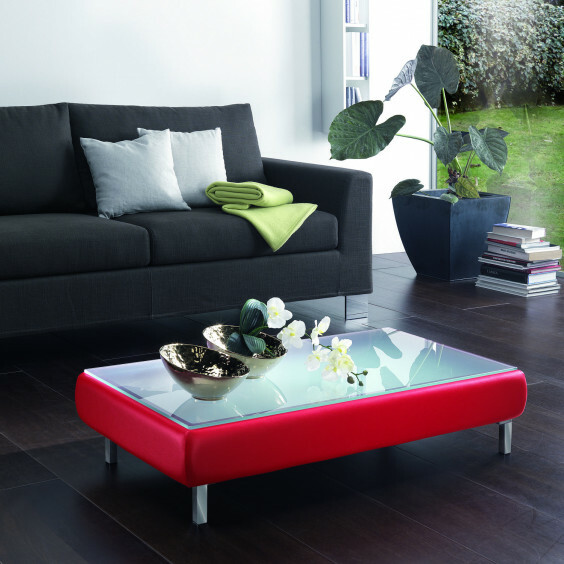 The frosted glass top creates a pleasant colours and materials contrast effect with the side cover in eco-leather, available in 4 colours. From classic sober colours as black and white to the brighter and original red and blue. These tones create an unexpected colour mark inside the environment, which can be also recalled by choosing it for other items. 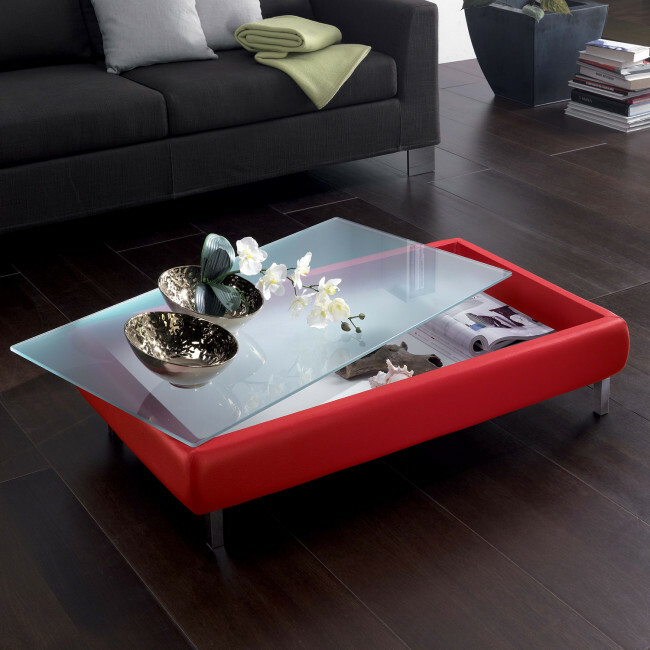 Soft belongs to Maconi coffee tables collection and it is a storage rectangular coffee table with glass lifting top.